First held in 1905, The Geneva International Motor Show (the Salon international de l’automobile) was considered by many to be the best and most important motor show in the world. To this day, the event is where many of the world’s greatest car manufacturers choose to launch their new models and prototypes in order to give us a glimpse of what is to come. In 2017, Geneva saw the premier of cars such as the Alpine A110, Ferrari 812 Superfast, Range Rover Velar, McLaren 720S, Pagani Huayra roadster and the Lamborghini Huracán Performante, along with a foretaste of the future such as the Jaguar I-Pace and Bentley EXP 12 Speed 6e. All told, more than 150 world and European premiers took place before some 10,000 media representatives, while during the 11 days of the event more than 691,000 visitors were welcomed from around the world. The show has already introduced the official graphic for the much-anticipated 2018 event, representing the view from the side of a frog-green car whose different body angles have already adorned the two previous years’ graphics. The show will also include an example of the service station of tomorrow, which will include the provision of hydrogen for vehicles powered by this fuel, from the Union pétrolière. 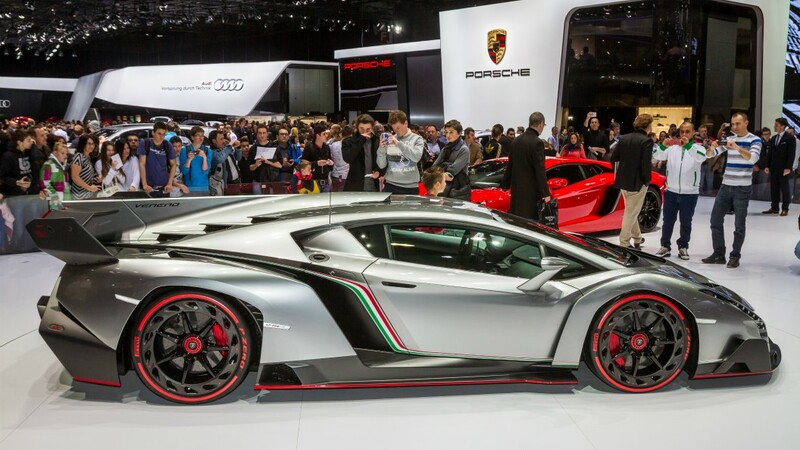 The Geneva International Motor Show – one of the world’s top five car shows – is the only such event recognised by the International Organisation of Automobile Constructors (OICA) to take place annually in Europe. The show runs from March 8th – 18th, 2018, at Palexpo in Geneva – and I can’t wait!